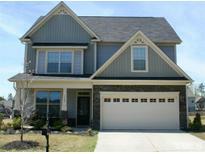 Below you can view all the homes for sale in the Rockbridge subdivision located in Knightdale North Carolina. Listings in Rockbridge are updated daily from data we receive from the Raleigh multiple listing service. To learn more about any of these homes or to receive custom notifications when a new property is listed for sale in Rockbridge, give us a call at 919-759-5754. Large open Bonus Room w/ dormer. Whole house water filtration. MLS#2249609. 2989. Two additional bedrooms and a spacious loft are located on the second floor. Screened Patio, Spacious Corner Lot! ! MLS#2248953. 835. Large screened-in porch connected to large grilling patio, perfect for entertaining! Priced to sell fast! ! MLS#2245526. 4705. Upstairs you’ll find an extended owner's suite that includes a bath and shower next to Walk in Closet. MLS#2245427. 835. Stock photos shown for representation purpose. MLS#2243018. 835. Third floor bed, bath and Recreation. MLS#2242047. 835. 3rd Floor is Unfinished for storage! MLS#2242067. 835. Two additional bedrooms and a spacious loft are located on the second floor. MLS#2242087. 835. Huge backyard with screened back porch, concrete patio for grilling and endless options! MLS#2237912. 3188. 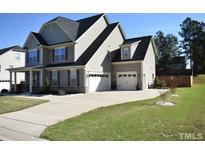 Smart Home Features Large home sites in Wake County (county taxes only) MLS#2236204. 3251. Upstairs you?ll find an extended owner's suite that includes a bath and shower next to Walk in Closet. MLS#2236220. 835. Must see this plan in a Pool community, large home site, county only taxes MLS#2235843. 3251. 3rd Floor is Unfinished for storage! MLS#2235389. 835. Pool Community, large home site in County only MLS#2235341. 3251. Upstairs, there are two additional bedrooms and Recreation room. Stock photos MLS#2231735. 835. Third floor bed, bath and Recreation. MLS#2231851. 835. Master Bedroom w/tray ceiling and Master Bath welcomes you home from those long days at work, seperate Shower and soaking Tub. This home offers so much. MLS#2229410. 3251. On the second floor you will find a Recreation room, 3rd bedroom and full bath. MLS#2220049. 835. Two additional bedrooms and a spacious loft are located on the second floor. MLS#2214253. 835. And don't forget the big loft area! MLS#2199033. 835. Open's out to patio & awesome back yard Loft up swimming pool, short distance to 540 & 440,county taxes MLS#2151843. 3251.